In the Discord chat we sometimes stray, but I try to circle it back with "We're Almost on Topic!!!" questions. These questions relate to the discussion we happen to be having, but are re-directed towards EoE. @TheWizard has been kind enough to answer most of them and I wanted to post them here (and keep the thread updated) so that those of us who only check the forums can enjoy as well! In PvE, will there be zones that are inherently dangerous in and of themselves? For example, in the dirty, dank, nasty swamp, is there a %chance my character gets poisoned each round just for being there? answer to the second is "yes"
we have affiliations with groups (houses). Are there any plans for a relationship system between players aside from your rival. For example, can you marry someone in the game at some point? Could lead to some interesting politics between houses. so answer to the first one (which i imagine you could guess) is "holy shnitzel, no we hadn't contemplated that so thanks for sticking it in our heads"
speaking of losing privileges, has a punishment system been discussed for players that cheat and/or break game mechanics? How are items you don't want anymore handled? I know for armor/weapons you can melt them down for forge parts. What about food (assuming that will exist) or other items. Can you sell them? Or THROW THEM ON THE GROUND!? Etc. Will weather have any effect on characters and battles in the game? So... can we add things like ribbon or trim to our armors. So... can we add things like ribbon or trim to our armors.Not unlike trimmed armor in RuneScape. Like... this armor is black, but I have added teal glitter ribbon to it so it sparkles around the outside. What I'm really asking is, can I trim a warrior in all pink and name it Strawberry Shortcake? What kind of healing abilities will there be and/or will we be getting a healer type class at some point down the road. Specifically, if 2v2 or 3v3 happens will we see the "Holy Trinity" show up at some point. This time pulling from the actual off-topic channel lol. 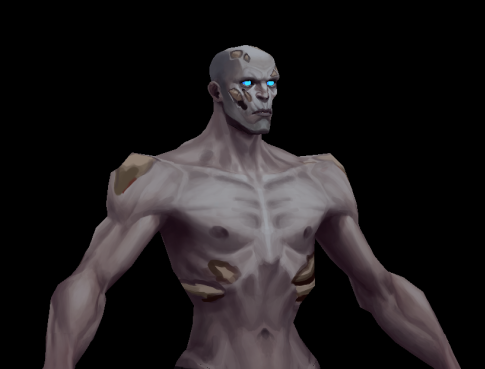 Will there be undead in Embermark? Also just sowing the seeds here, but a Halloween event where there is a plague that spreads through PvP would be amazing. Will there be a small patch of land that my Exile can call his own? A place to mow. A place to rest. Will we have to maintain our armor. A.K.A. Will armor degrade and require sinking resources into it to keep it working at maximum statage ala Diablo 3? Even if there is no food system in the game, I would like food to be in the lore for EoE. Things like that make a world feel more alive to me. People need to eat, they need to sleep, they need to go to the bathroom. Is there currently any form of on screen indicator of a level up in EoE? Like a flashy "Level Up" thing? Will there be puns hidden in the text of NPC ala Banjo-Kazooie? Will I get some wonderful double entendre?